As the name suggests itself, the Amazon is celebrating the 72nd independence of India with the Amazon Freedom Sale. The platform consists of pretty good deals on portable speakers that are from brands like JBL, Zook. boAt and more. If you missed out last month’s Prime Day Sale due to some reason then don’t feel disheartened, the Amazon is back with its another big Freedom Sale. 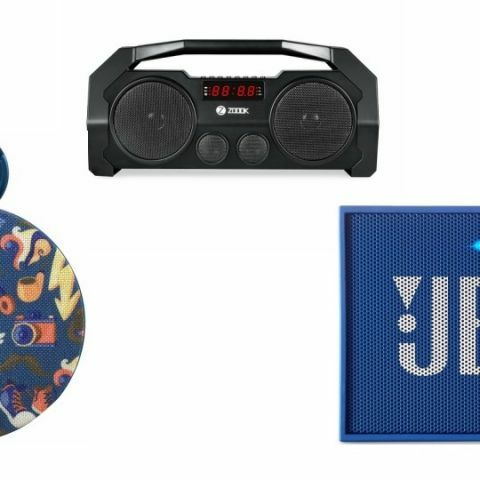 We have handpicked some of the best portable speakers deals available on Amazon. The products we’ve listed down below are from brands like JBL, boAt, Zook and more. The boAt Stone 260 is a waterproof and shockproof Bluetooth speaker which comes with an IPX5 rating. The speaker is Bluetooth 4.1 enabled and offers a battery life of four hours. Click here to buy. The JBL GO portable Bluetooth speaker features an inbuilt microphone which lets you pick up calls even when the phone is connected to the speaker. As per the company, the speaker can provide up to five hours of audio streaming. Click here to buy. The Zoook Rocker Boombox is a wireless portable speaker which is equipped with a USB port and a TF card slot as well. As per the company, the speaker can deliver up to nine hours of audio playback. Click here to buy. The boAt Stone 600 is a water and shockproof Bluetooth speaker which comes with an IPX6 rating. The speaker is also equipped with a TF card slot and a USB port to stream music via SD card or USB compatible devices. The speaker is Bluetooth 4.0 enabled and offers a battery life of eight hours. Click here to buy. The Portronics POR-871 Sound Drum Bluetooth speaker comes with inbuilt wireless FM and is equipped with a 3.5mm audio jack and a USB port as well. As per the company. The speaker can provide up to seven hours of music streaming with a single charge. Click here to buy.